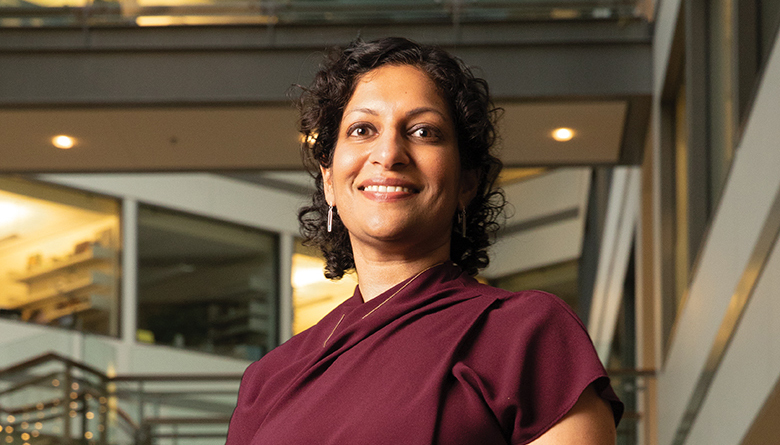 Dr. Veena Shankaran, an oncologist at Seattle’s Fred Hutchinson Cancer Research Center, was a Gold Award winner in the Achievement in Medical Research category of the 2019 Leaders in Health Care Awards. Identifying and preventing financial toxicity has become the life work of Dr. Veena Shankaran, an oncologist at Seattle’s Fred Hutchinson Cancer Research Center. Dr. Shankaran and 18 other innovative health-care professionals and companies were honored last week at Seattle Business magazine’s 2019 Leaders in Health Care Awards. From “organs on a chip” the size of a credit card to using video games to train doctors, there’s some fascinating research happening in the Puget Sound region. You can read about it all in the March issue of Seattle Business magazine. We also took did an extensive pier review by looking at the redevelopment potential of Seattle’s waterfront. Massive pedestrian and commercial improvement projects are already underway. Perhaps the coolest is the 350,000-gallon shark tank that will be visible to people walking through the revamped plaza at the Seattle Aquarium, which itself is undergoing a $100 million expansion. You also can get to know Brian McGowan, the former Obama administration official who is now leading Seattle’s economic development efforts as the first CEO of Greater Seattle Partners. Hint: You won’t see him wear a tie very often, but you will see a lot of Nordstrom attire on him. And our Daring Woman, Jessie Woolley-Wilson ― CEO of DreamBox Learning ― has some insightful opinions on the need to have “courageous conversations” in the office. In addition, you can discover why the Seattle P-I globe still sits atop the former newspaper’s building a decade after the paper ceased its print edition. We hope you enjoy these articles and more in the March issue as much as we enjoyed putting it together. As always, we’re interested in your thoughts. You can reach me at Rob.Smith@tigeroak.com.